It’s an excellent repro ring, the best in the market! 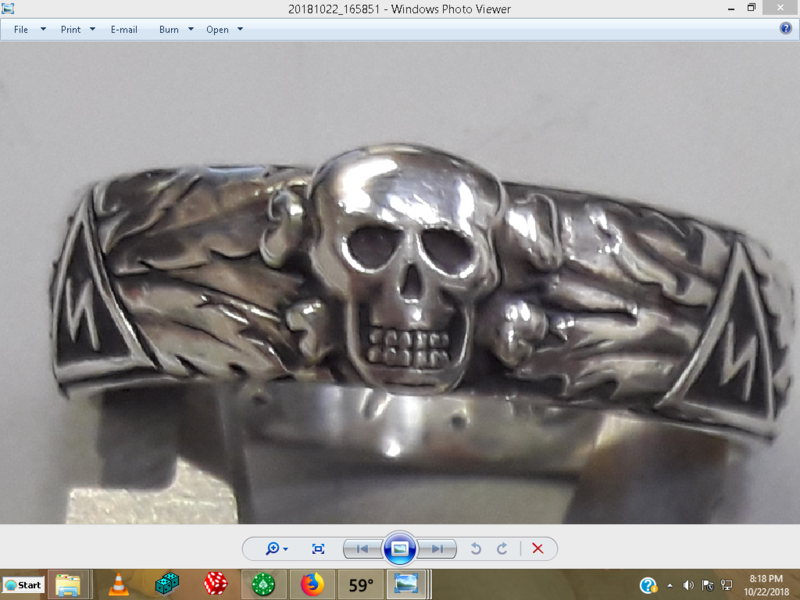 All the details and craftmanship are superb. Also the attention and support from the master ring maker (Evgeniy) is awesome. 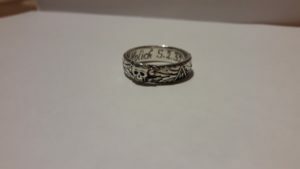 He cares and help you throughout the whole process of making it, all the way to the shipment and right until you have it in your hands. 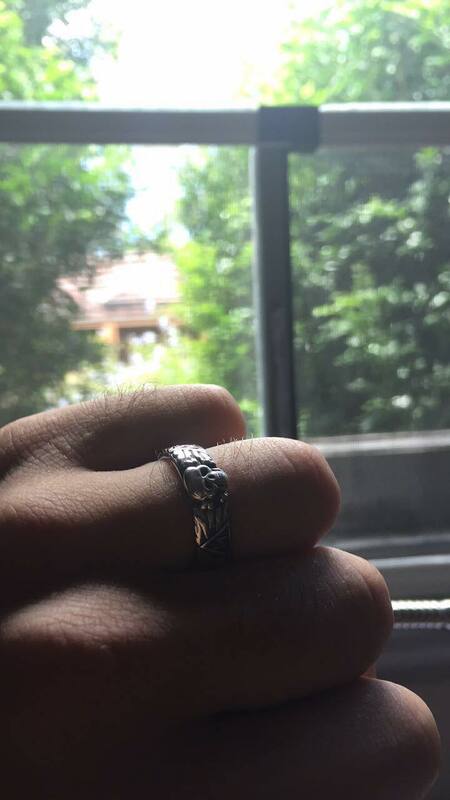 I’m extremely happy with my ring and I’ve been recommending it to all my friends here in Mexico and from abroad so they can come and buy their own. Недавно получил по почте кольцо. Через две — три недели получил еще одно кольцо. Сказать что это отличная работа, — это не сказать ничего. Много разных колец держал в руках. Держал и ОРИГИНАЛ. Но то, что я получил от Евгения, — это просто шедевр. Я дотошный и очень требовательный (к качеству). Вот что я Вам всем скажу. Великолепная ювелирная точность, изумительная проработка всех элементов, детализация — просто выше всяких похвал. Одно кольцо ношу, не снимая, другое водрузил на постамент в виде ……. Вы еще увидите мою работу. It was very hard for me to find a SSHR Repro in a Size smaller than «9». When I found this page I could not believe that this is possible. 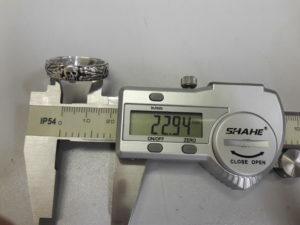 Thank you very much for making a Ring in size «6». All details are clear und it looks very solid. 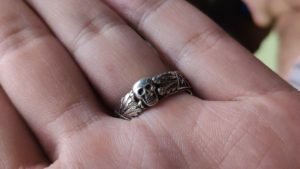 Best Repro I have ever seen so far. Получил почетное кольцо СС от Евгения. Нет слов… Такого качества исполнения я не встречал. 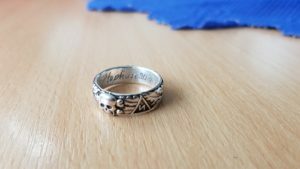 Очень «опасная» копия))) Уверен, это мой не последний заказ. Рекомендую всем! The workmanship is excellent. 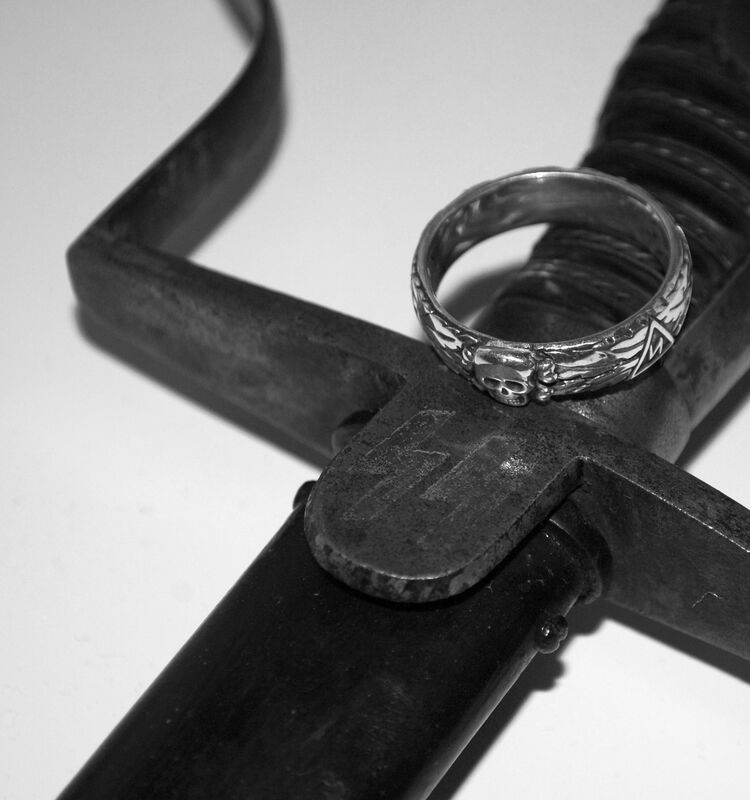 The ring looks as good in real life as it does in Evgeniy’s photos. Evgeniy works hard to make certain the ring will be exactly as you want it, and, of course, the ring is made in exactly the size you specify. 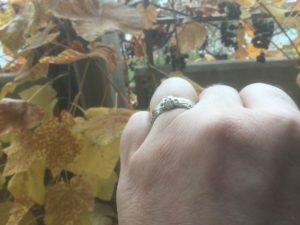 The quality of my ring was far beyond expectation! 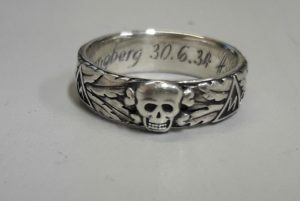 its beautiful detail and personalized engraving is the best the market has to offer! 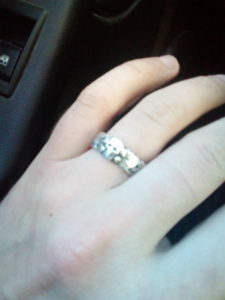 i could not be any happier!! if you want quality craftsmanship at a fair price go no further!! Beethoven, Mozart and now Evgeniy !! 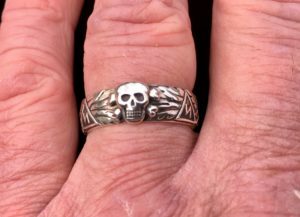 The SS Totenkopf ring from Eugene is a truly classic masterpiece. 10 on a scale of 1 to 10. The best I’ve seen in 50 years! 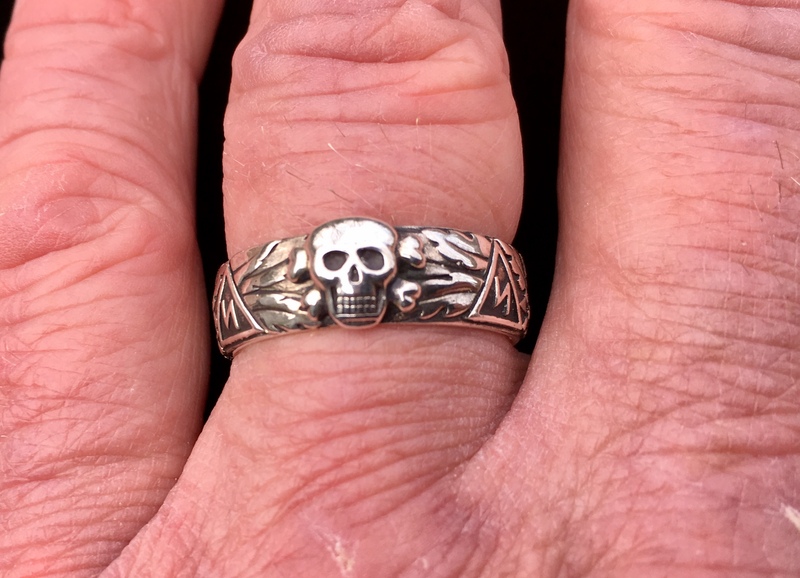 And, Master Goldsmith Eugene remains next to his clients from beginning to end — and he is FAST. 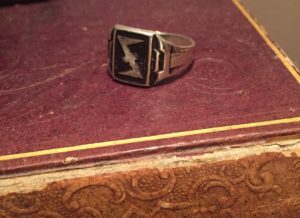 His skill is incredibly good — perhaps better than the original period rings, which I have several times studied. So, if you want BETTER, do not look any further — here it is. this ring is very good in the market: the details are fantastic, the work is absolutely first-rate .. 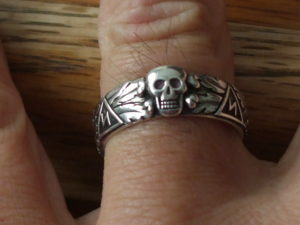 This ring is really fantastic. There’s no word for it. Evgeniy you’re the best ! Замечательная копия, лучшая из известных! heute habe ich meinen Ring bekommen, er ist einfach nur noch schön. Die Eichenblätter sind fein ausgearbeitet, die Inschrift so wie ich wollte. Der Service von Evgeniy Aleshin ist perfekt. 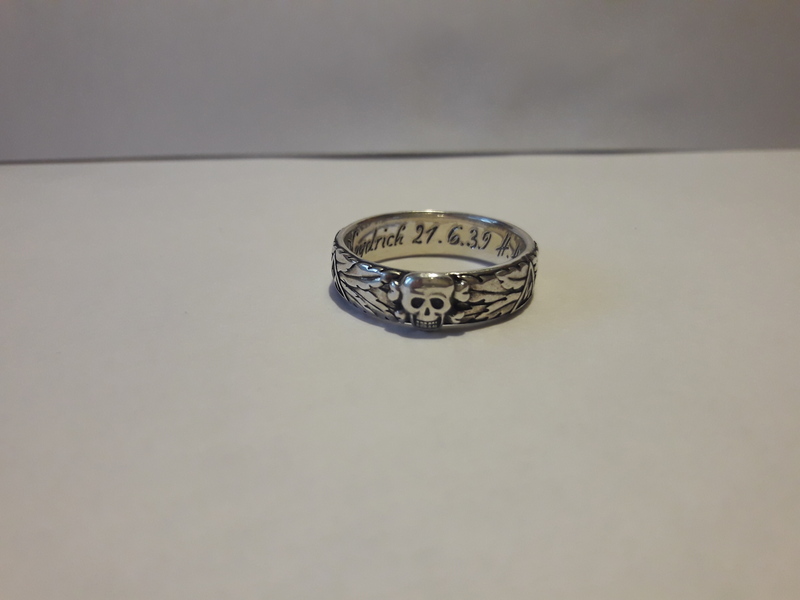 Ich kann jedem, der einen solchen Ring möchte , nur empfehlen diesen hier zu kaufen. 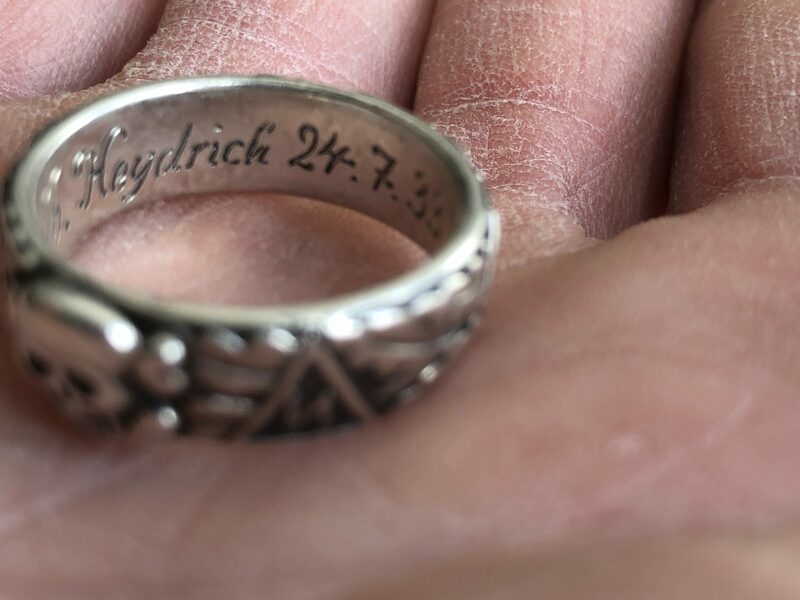 Vielen Dank Evgeniy Aleshin für den tollen schönen ring:-) Der Ring ist so, wie auf den Bildern von der Webseite gezeigt. 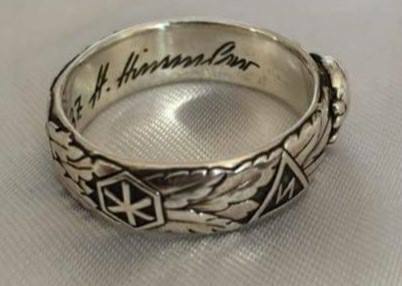 Einzig die Lieferung dauert etwas lang, Ursache ist aber hier die Post . Today I got my ring, he is just beautiful. 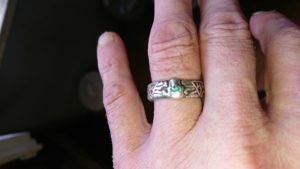 The oak leaves are finely worked out, the inscription as I wanted. The service of Evgeniy Aleshin is perfect. 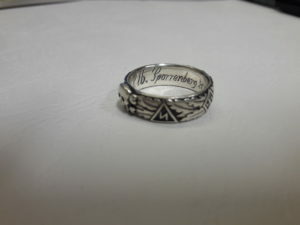 I can recommend anyone who wants such a ring, only to buy this here. 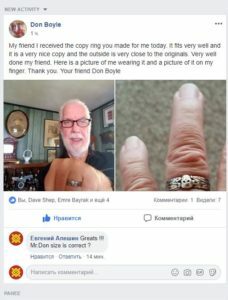 Thank you very much Evgeniy Aleshin for the great beautiful ring 🙂 The ring is as shown in the pictures from the website. Only the delivery takes a long time, but the cause is the post office. What a pleasure it was dealing with Evgeniy who is a true craftsman. 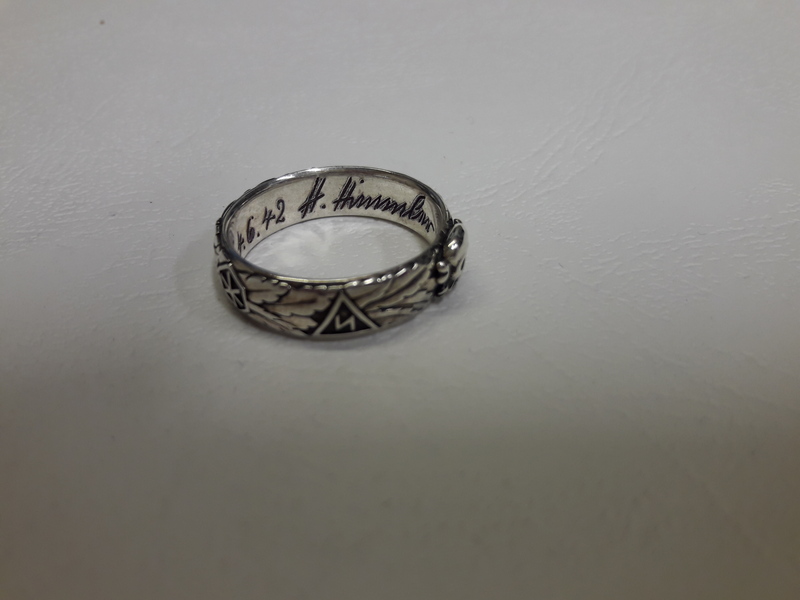 I have tried for years to obtain an accurate repro of the Honour Ring from various other sources, but all of these have been inferior and a waste of time. 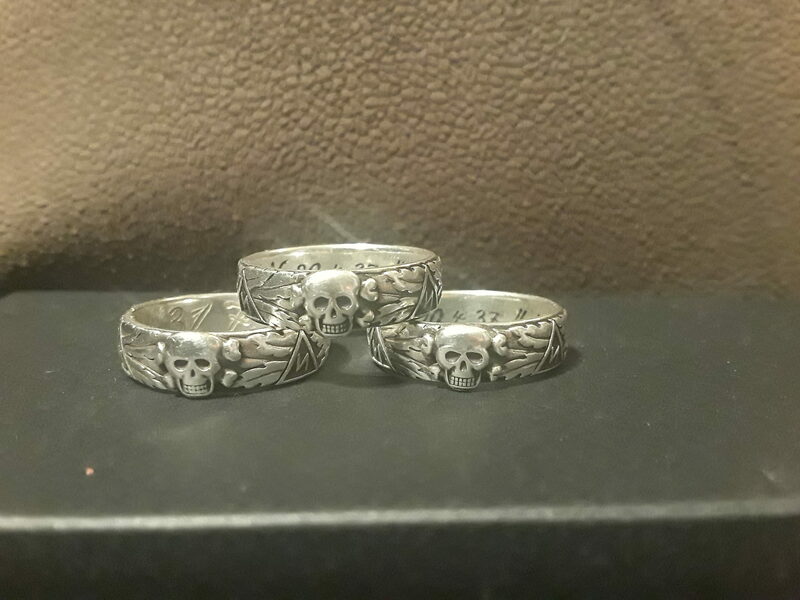 Nothing can compare with the rings made by Evgeniy who is a true artist. Thanks again maestro. A truly superb ring that is as close to original as one could ask for. Excellent attention to detail, very helpful and a pleayto do business with. 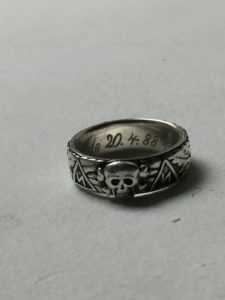 heute habe ich meinen totenkopfring erhalten, wie bestellt ohne inschrift und in 22mm ringgröße. 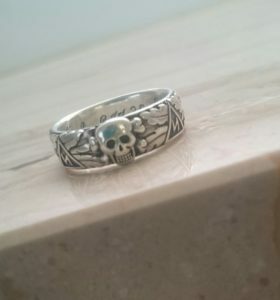 der ring ist super in den details und hat eine spitzen qualität und das zu einem preis unter 90 euro! eine super alternative zum original. 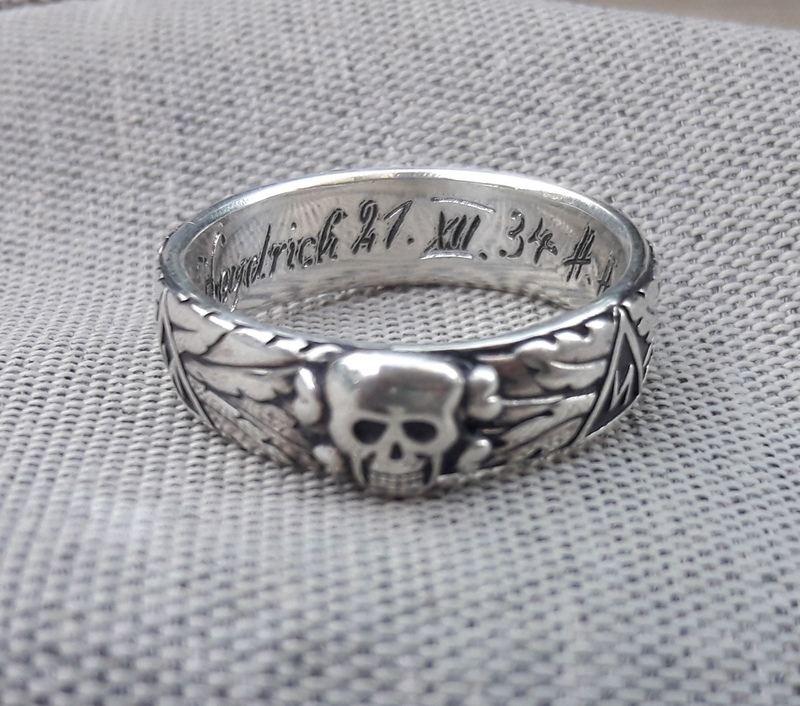 meiner meinung nach die beste repro derueiz auf dem markt. These are very nice copy rings if you are looking for one to wear and the outside of the ring is very close to the originals. Very nice and real comfortable to wear great fit. 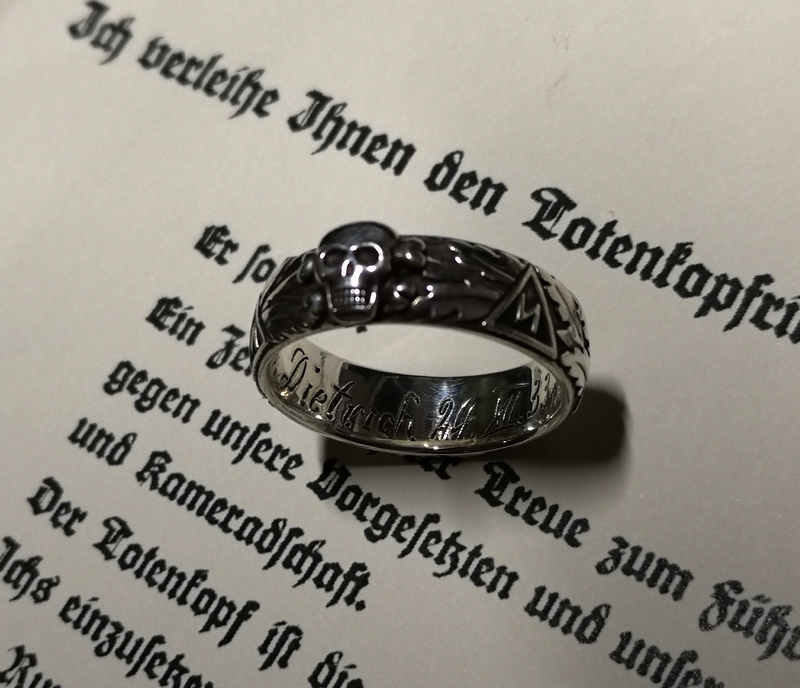 Just received my TK +Wolfsangel. Very impressed. 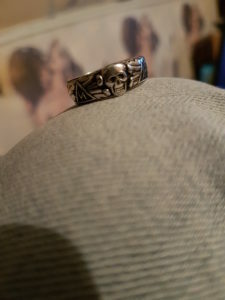 Being the owner of an original TK ring too I can confirm this was made with great accuracy. My Ring was delivered today and it’s perfect a work of art. I would recommend Evgeniy to anybody who want a quality item and a fair deal. A gentleman to do business with thank you so much. 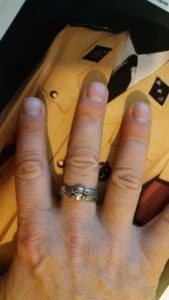 Just got my ring today. And it is the closest to an original iv ever seen. Well worth the wait. communication throughout the process was great. Качество жара. Евгений мастер своего дела. Носить необходимо черепом во внутрь! Выполнено очень качественно. Хорошая работа. Я заказывал разные перстни и кольца но это просто офигенно сделано. Рекомендую. Евгений хороший мастер. Человек занимается именно своими делом. 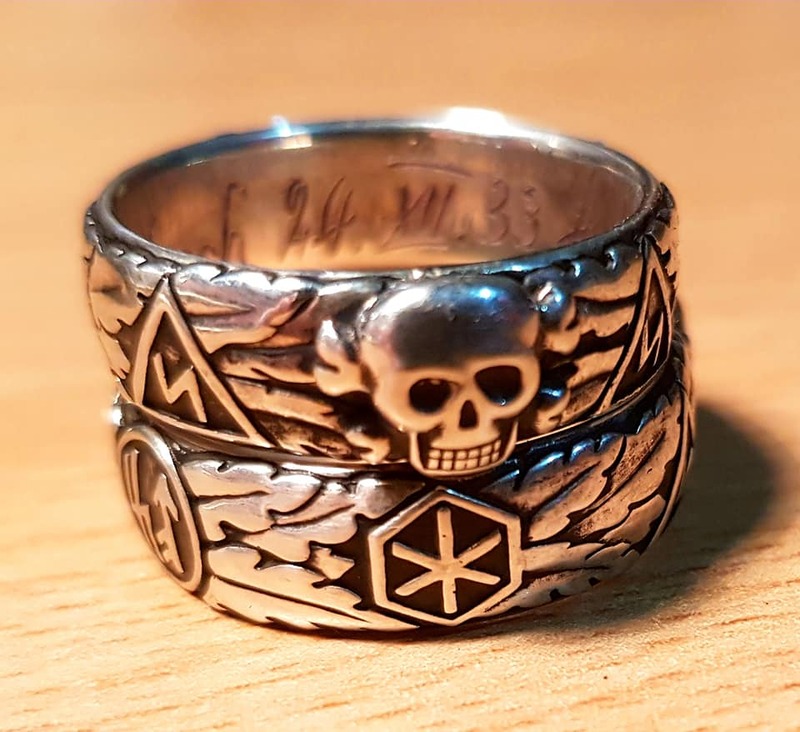 Der beste Ring den es zu kaufen gibt! 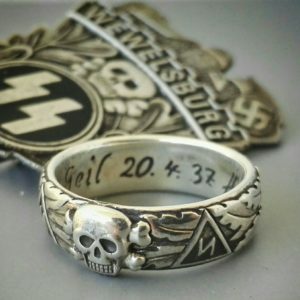 Ich bin von der Originalität und der Detailgetreue des Ringes immer wieder begeistert. Es gibt nichts besseres und ich kann nur jedem raten sich so ein Stück Geschichte zu holen. Auch die Abwicklung und Beratung hat wunderbar funktioniert und ich kann Evgeniy gar nicht genug danken. Mine just arrived yesterday and have to say that details looks PERFECT and size is precise. Evgeniy you are a true craftsman. 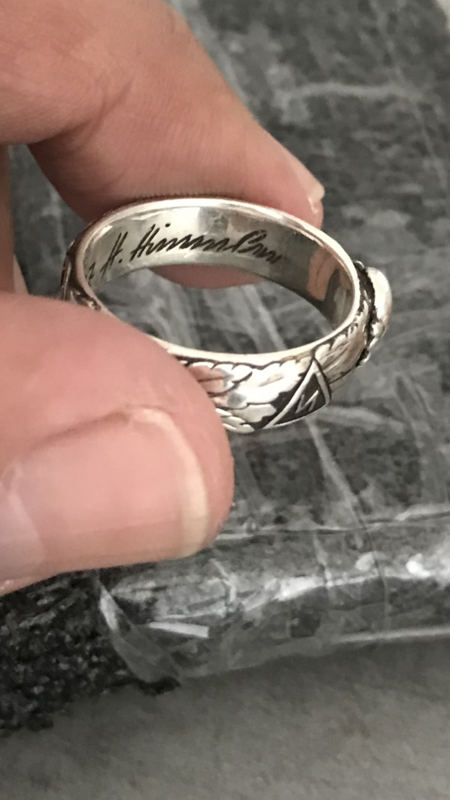 My SS honour ring is perfect, your communication through out the purchase was great, custom engraving is just what I wanted. Thank you very much. The very best repro I ever seen…!!! The ring is perfect in size and particulars. Mr. Evgeniy ALESHIN is a real MAESTRO…!!! He also take care of you from the moment of the order, during payment, since you receive the ART-WORK at home. Thanks a lot !!! Habe gerade meinen Ring per Post erhalten. Sehr sorgfältig verpackt. Der Inhalt.. ja besser als das Original würde ich sagen. Bin sehr sehr zufrieden mit dem Meisterwerk von Evgeniy. Jederzeit wieder würde ich mit Ihm Geschäfte machen. Immer sehr schnell und freundlich geantwortet und mit Einschreiben mit Tracking Nummer verschickt. 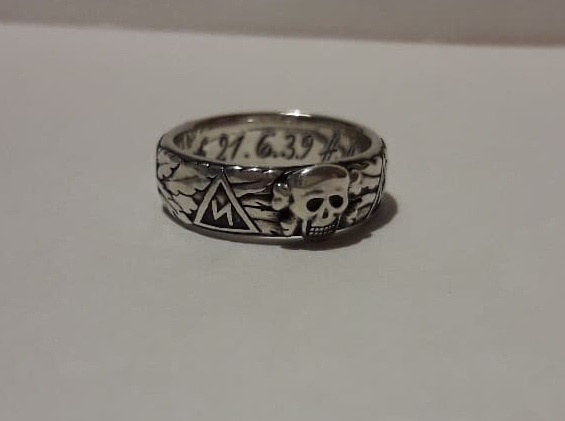 Just recieved my Ring. A perfekt Masterpiece created by Evgeniy. 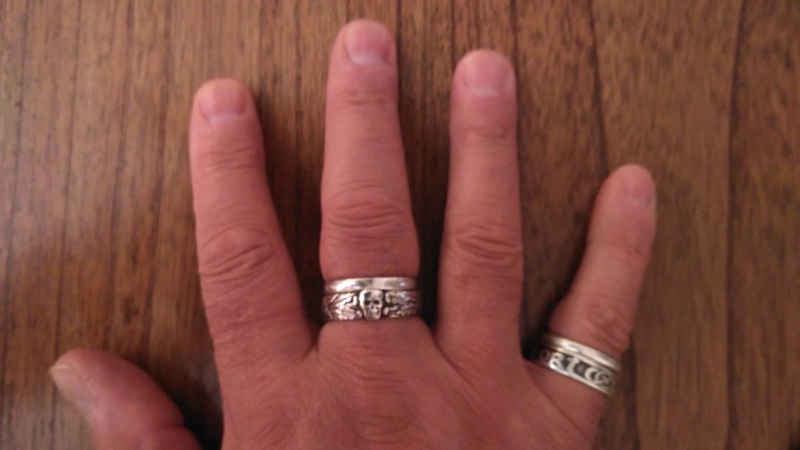 I am more than happy and It fits nearly perfect. Thank you so much Evgeniy. 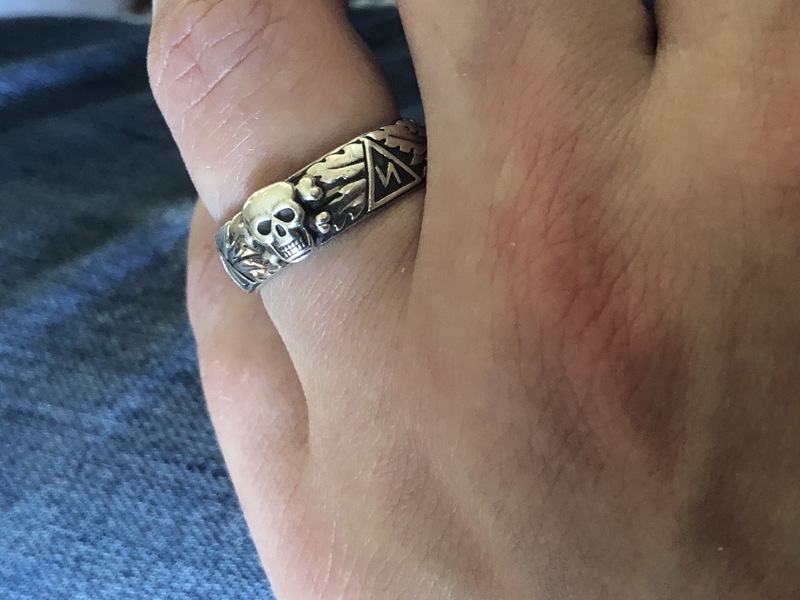 Think i‘ll order the Wolf Ring soon. Евгений, огромная благодарность за Ваш труд и прекрасную работу. Копия действительно потрясающа. Кольцо сделано с соблюдений всех , даже самых маленьких , деталей. Прекрасно сидит на пальце и удобно носится. Работа настоящих Профессионалов. Еще раз примите мою огромную благодарность. This ring is first class of silver arts and craftsmanship! 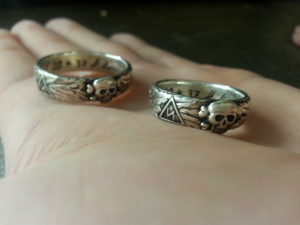 Amazing — I really love it. Thank you so much-I will recommend your work in german collector circles!!! SS honor ring amazing detail and craftsmanship. Great service and communication. This man is very skilled and reliable. He will email you with updates. Stand up guy. 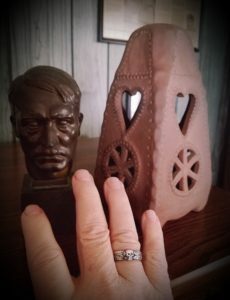 My ring just arrived in the mail, and I am very pleased to say that Mr. Aleshin is an excellent craftsman. The ring is absolutely beautiful! 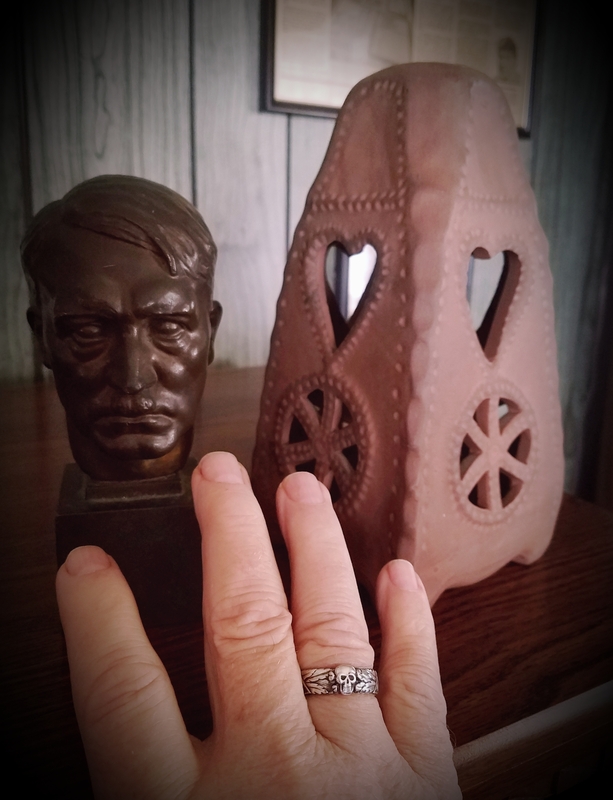 Although I am certainly not an expert on the Ehrenring, I have done enough research to know that this is a detailed, high-quality replica, and better than most that I have seen that are double the price of this one. Mr. Aleshin was also very helpful, detailed, and prompt in communication. 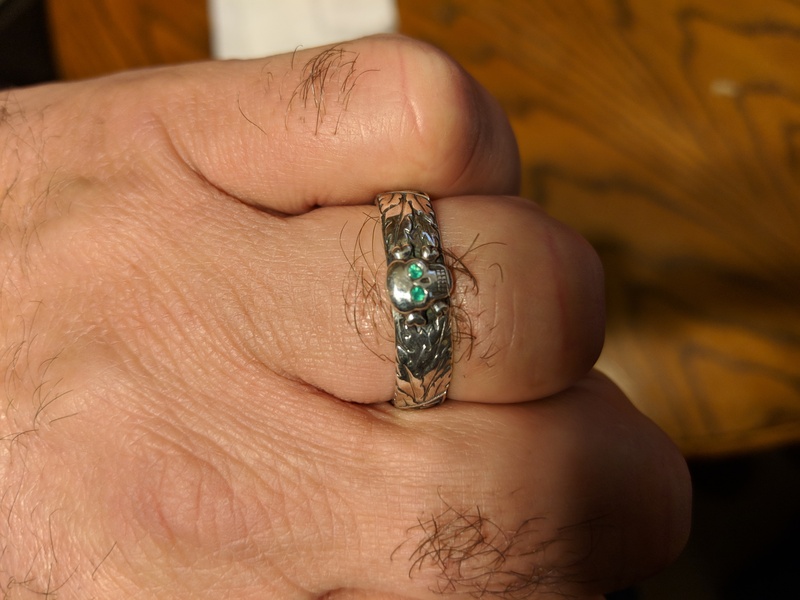 The ring was completed faster than I expected. The fit is perfect. I am very happy with this purchase. It will not be the last! 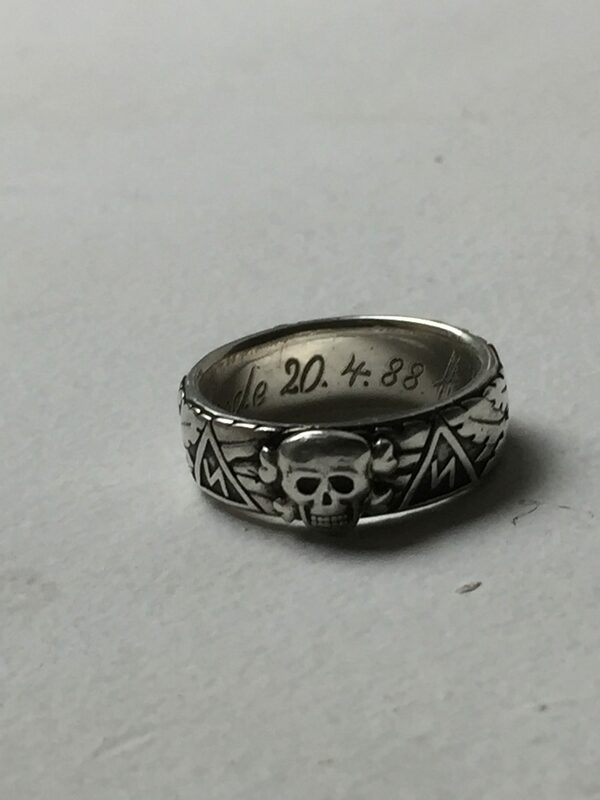 It took 10 days to ship to Australia. 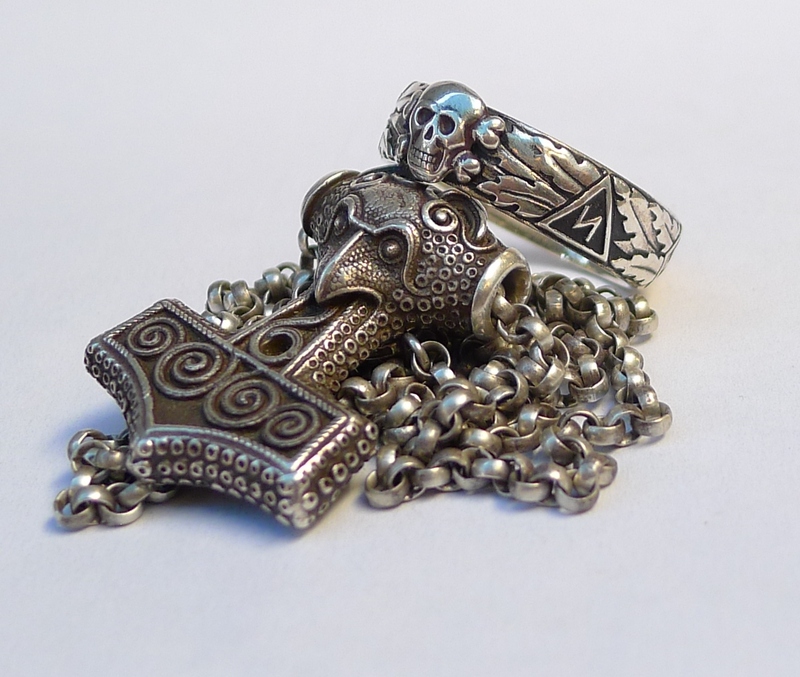 A beautiful product and Evgeniy’s customer support was excellent! Very well made copy of the well known SS Totenkopfring. Thank you very much sir. Die beste Reproduktion die ich kenne! Von der Bestellung bis Tag der Zustellung hat es 3 Wochen gedauert. Der Postweg und der Zoll nehmen hier die längste Zeit in Anspruch. Der Ring wurde auf den Millimeter genau nach meinem Wunsch gefertigt. 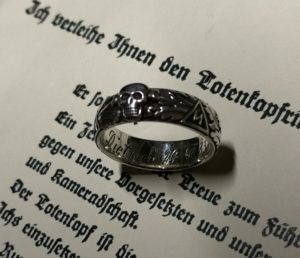 Die Inschrift ist originalgetreu in altdeutscher Schrift und die Runen sowie das Eichellaub sind perfekt gearbeitet. Das Päckchen wurde Zollamtlich geprüft und es wurde nichts beanstandet. 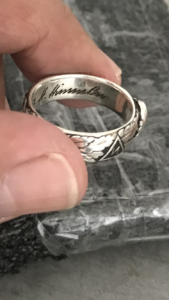 Der Ring war in Schaumstoff eingepackt und hat die lange Reise unbeschadet überstanden. 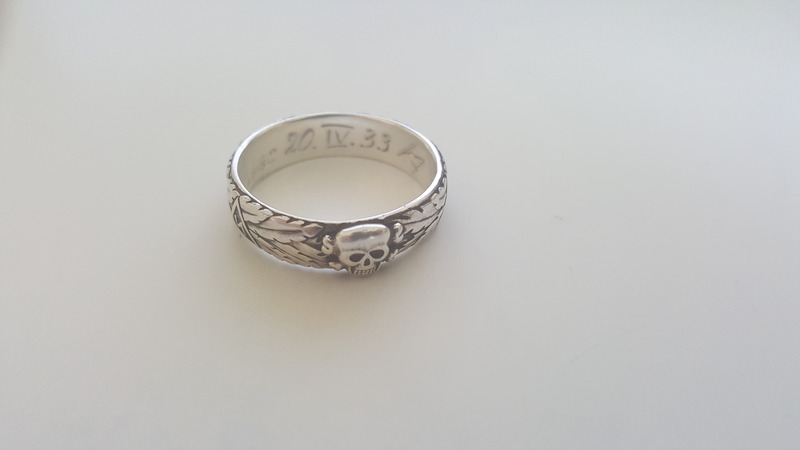 Evgeniy is the best seller i ever meet, the ring is perfectly made and the ring size is super accurate. 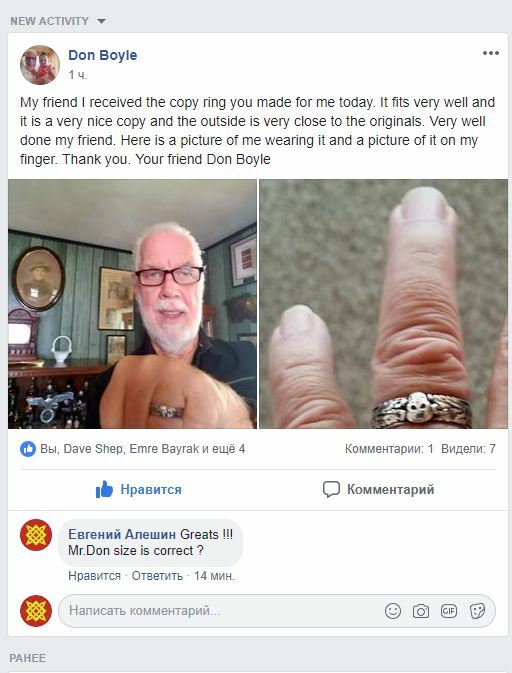 In my eyes evgeniy is the best replica ring maker. 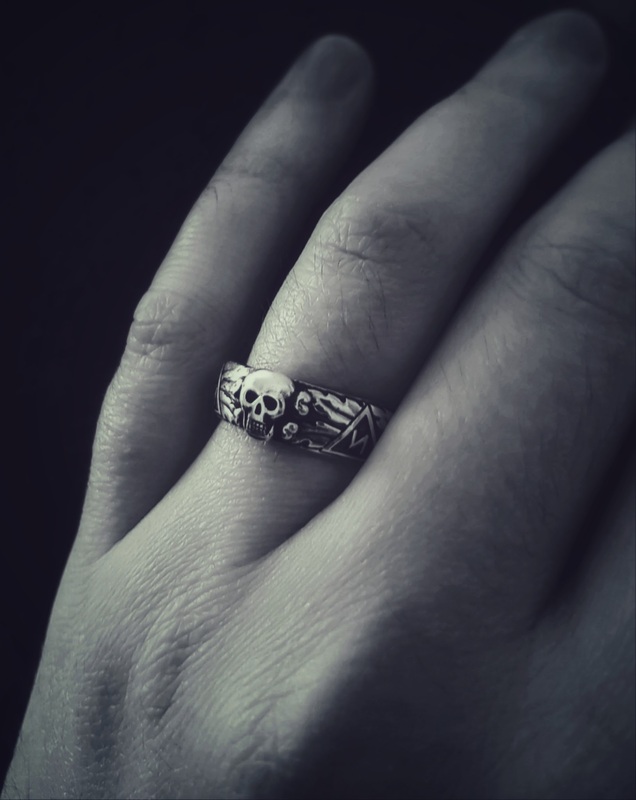 I recently purchased a ring from Mr.Evgeniy’s shop and I am amazed with the quality and 5 star craftmanship put into his work! I would recommend this ring to anyone with a interest in totenkopf rings looking for a high quality reproduction for collecting or reanacting ! Pleasure doing buissnes Mr. Evgeniy! 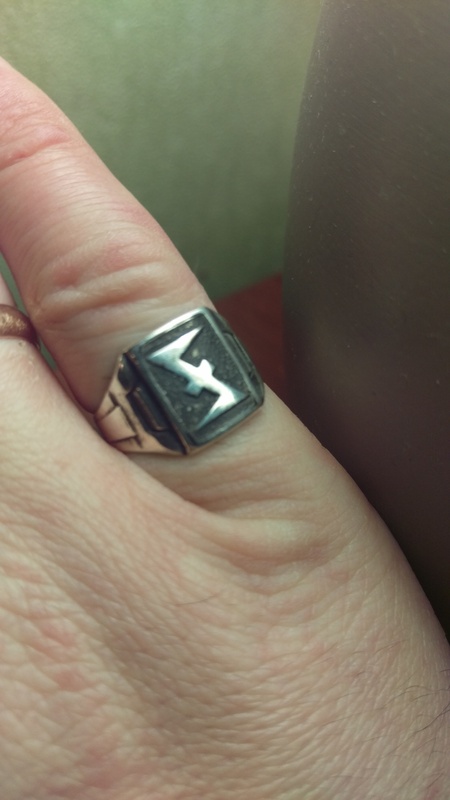 I’m already planning on ordering another in the near future! Evgeniy is a master craftsman! 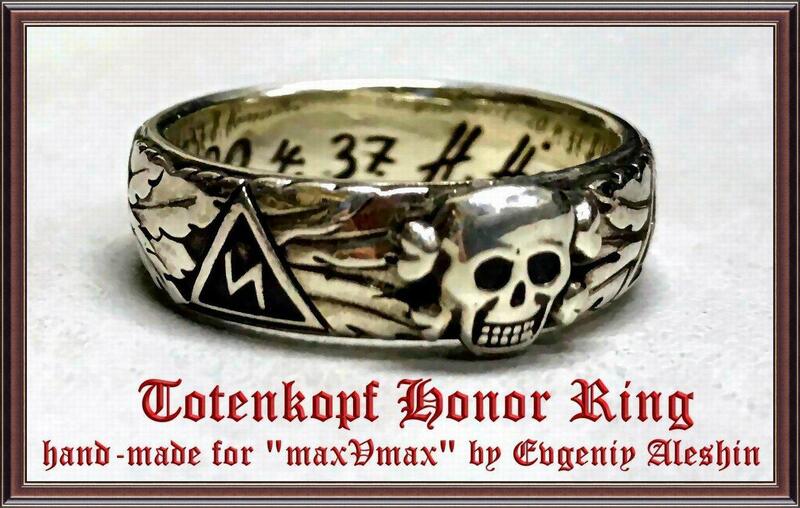 This Totenkopf recreation is absolutely the finest reproduction I’ve ever seen, and I’ve seen plenty, regretfully purchased some. The detail is meticulous. 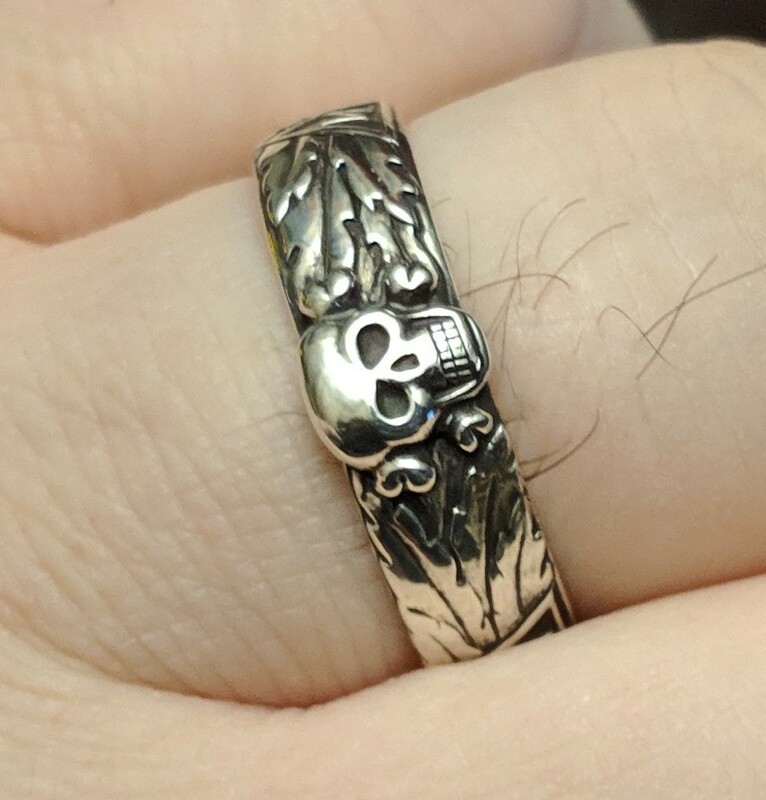 The scaling of the design is flawless. Not only was my ring a perfectly sized 13.5, but the runes maintained their perfect geometric shape, extremely crisp and tight. 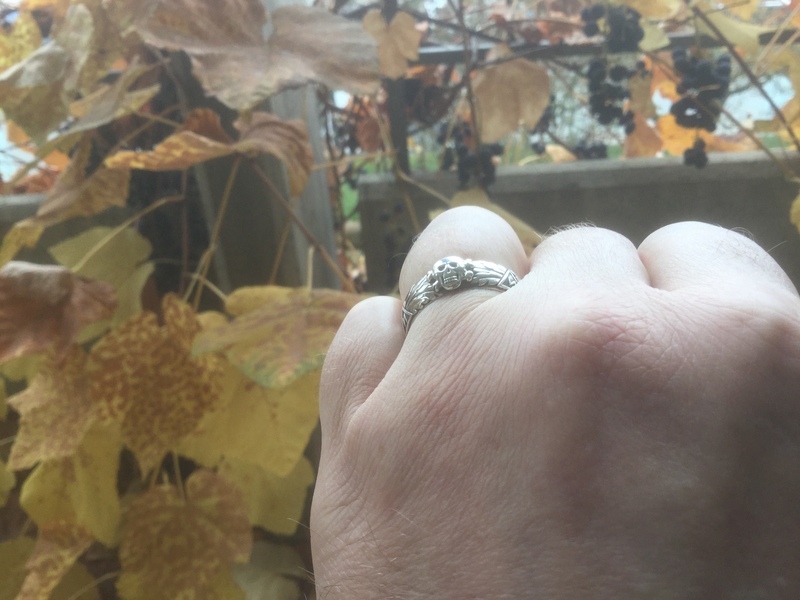 The leaves are crisp, well defined, and bold. 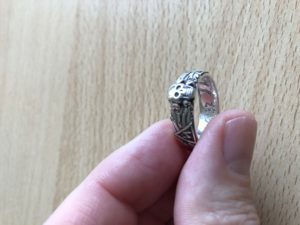 Not a single sign of stretching and deformation on this ring, it is absolutely perfect. Evegeniy is not only extremely talented, he is a great communicator, and was an absolute joy to work with. He was so eager to please, always answered my questions with a smile, a pleasant 6one, and VERY promptly. He is an extremely honorable fellow who is honest and genuine, a real pleasure to do business with. 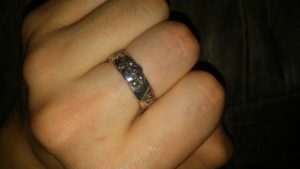 I am so happy to have found this perfect ring at a bargain price, crafted with pride by such a great guy, Evgeniy. I look forward to purchasing another ring just for display soon, thanks again Evgeniy. 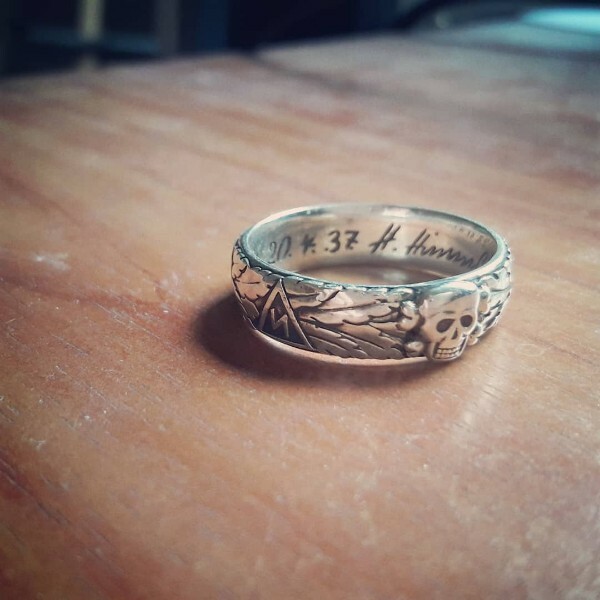 If any of you reading this are on the fence about this purchase for any reason, jump down and buy it, it’s the best you will find the world made by one of the nicest most honest and talented folks I’ve ever met. First class all the way. 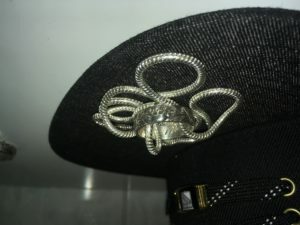 Everything went smooth, great transaction, a fabulously done ring, and a good communicator. Right from the start, Evegeniy was making sure all was right. Got to the U.S. in a week. 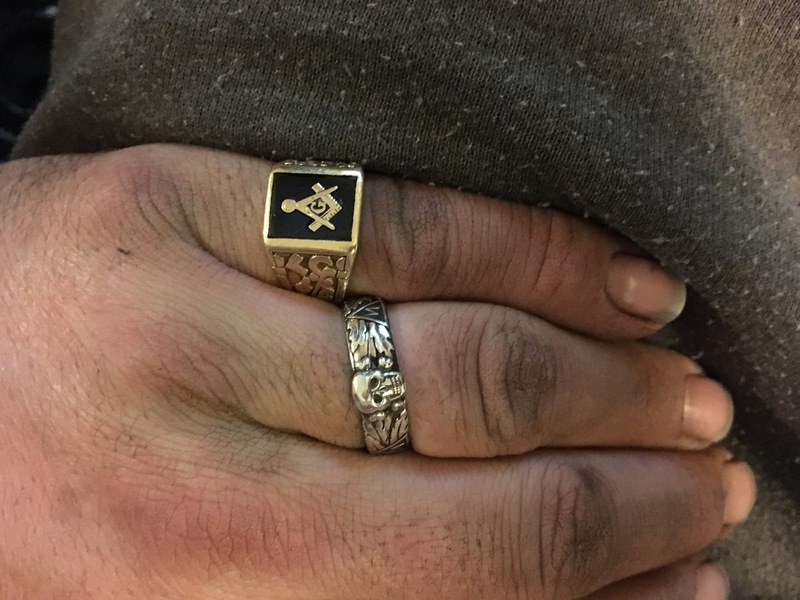 Just received the Honor Ring today. The quality and looks are unbelievable, and the sizing is perfect! 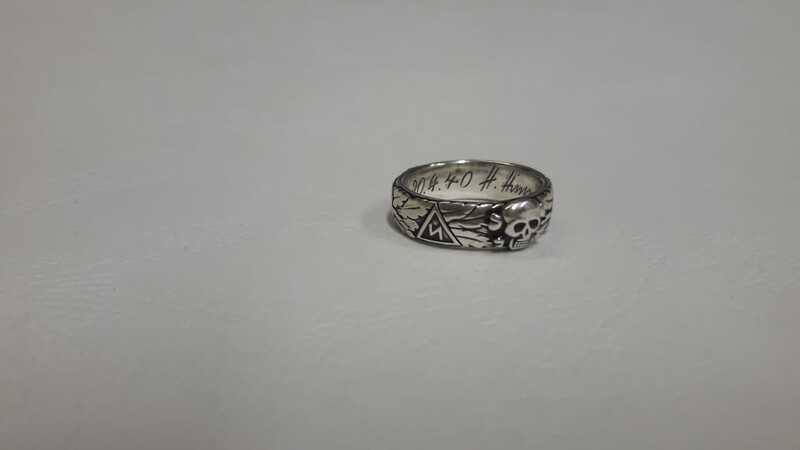 Even the inner side of the ring is flawless. 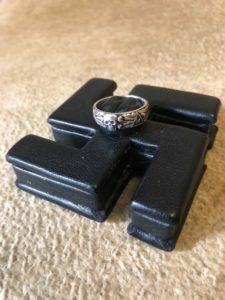 If you are considering of getting yourself a Honor Ring, as you probably are, because you’re browsing here, look no further. 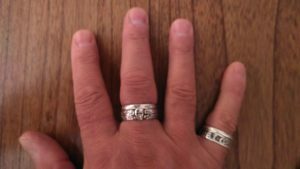 Better made and more accurate Honor Ring repros will be virtually impossible to find. Couldn’t be happier with my purchase, and with that price it was a real bargain. Thank you for this amazing ring. 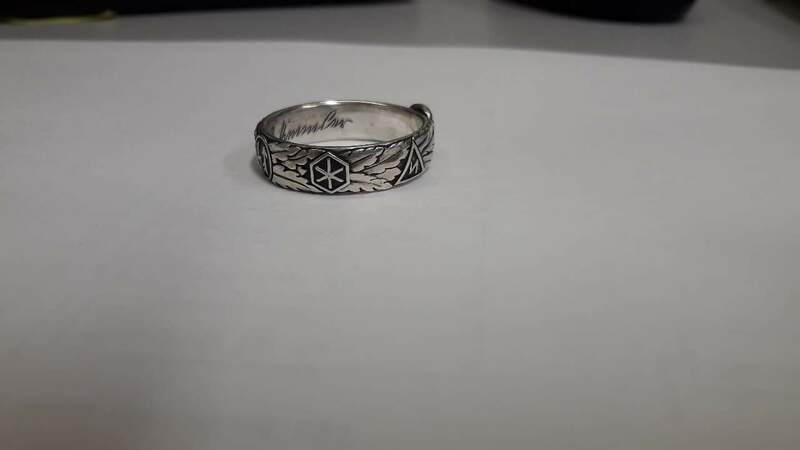 All the details are very well made, also thanks for the personal engraving inside the ring. 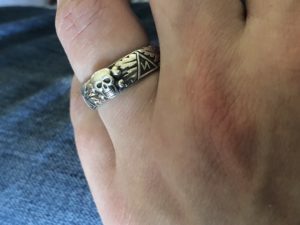 Ring came from Moscow to my city (in USA) in two weeks with economy shipping, that is also amazing 🙂 I can only HIGHLY recommend you and your rings to more people. 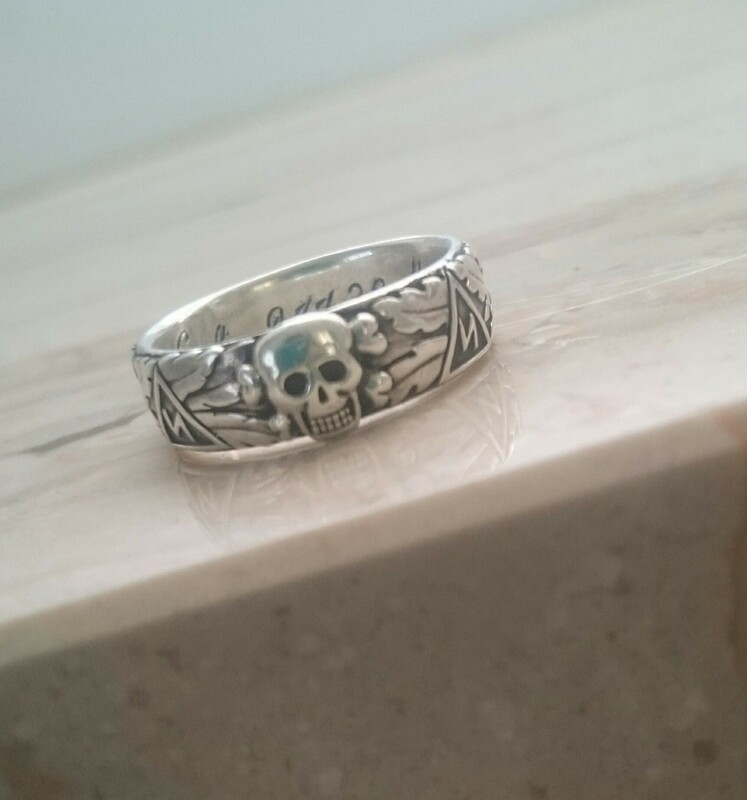 Beautiful work, the ring is really nice, the author is very reliable and friendly ! 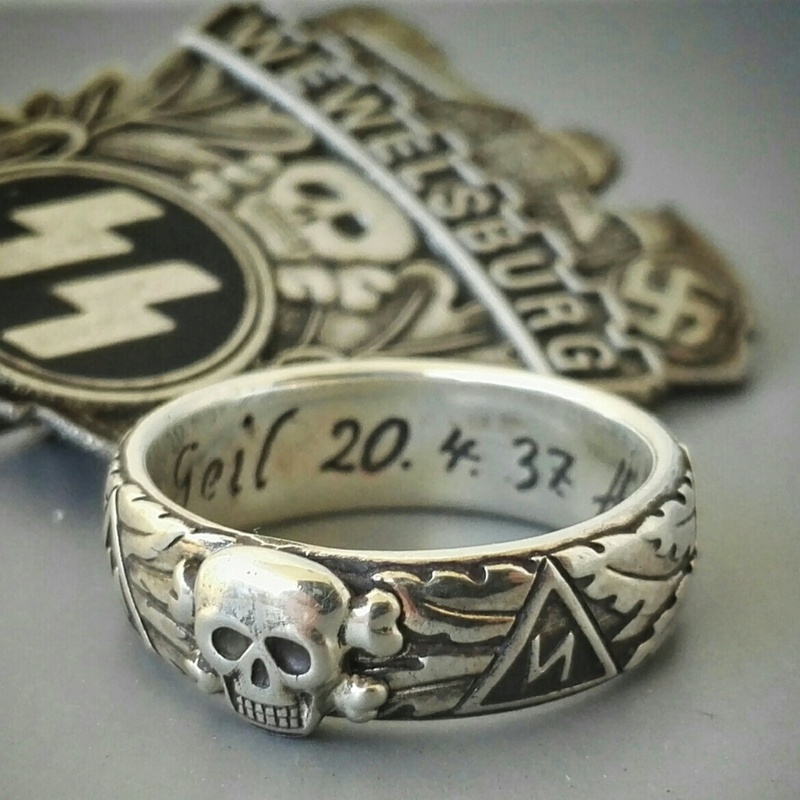 Mein eigener SS ring bericht !!!! 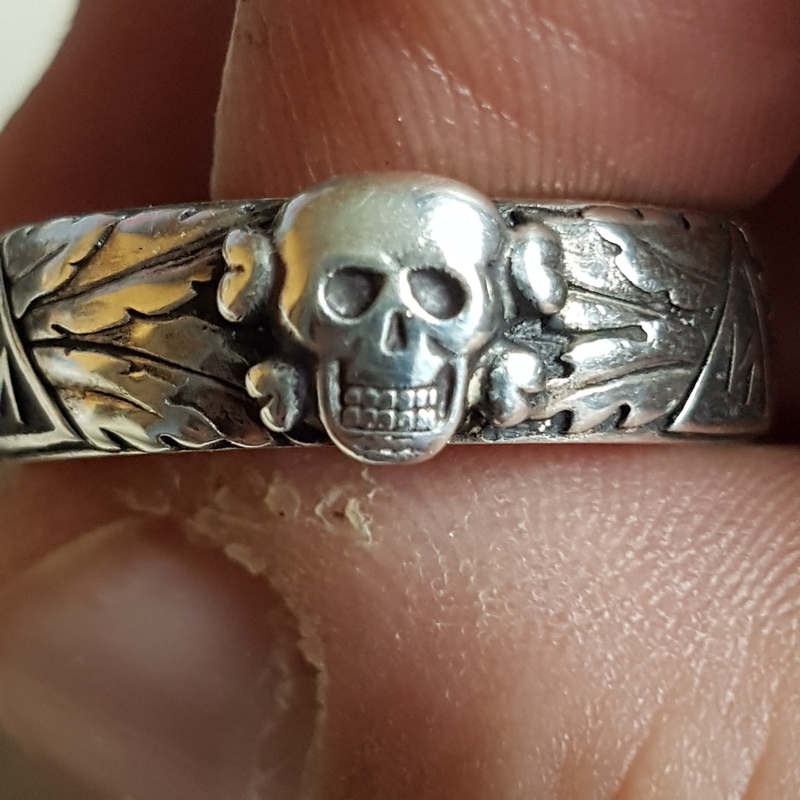 Just received my ring today, no words, it’s an awesome ring, details are incredible inside like outside. 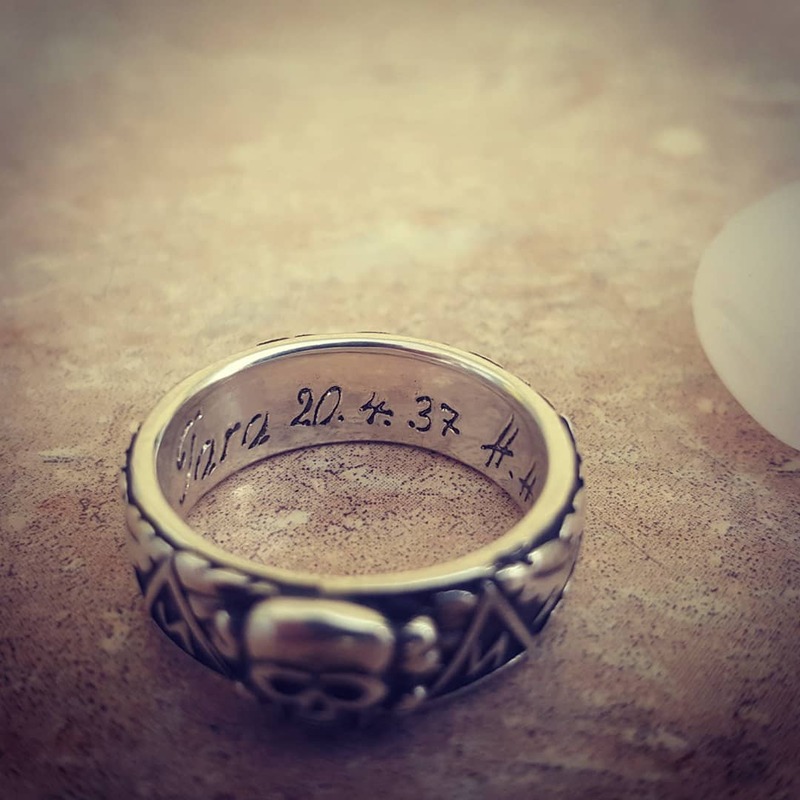 Perfect size, i wear my ring with proud !!!! 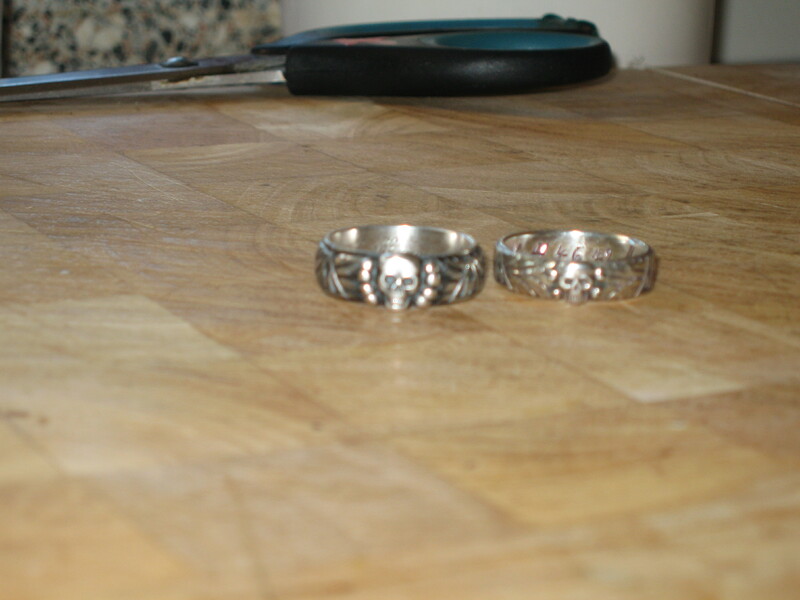 Evgeniy is a true goldsmith, communication was really good by email, he’s really patient and give good advices. 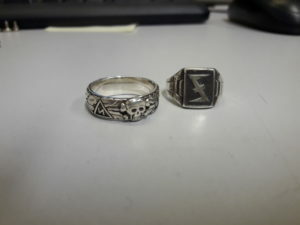 I will order another ring very soon. Dealing with Evgeniy is a hassle-free experience throughout. 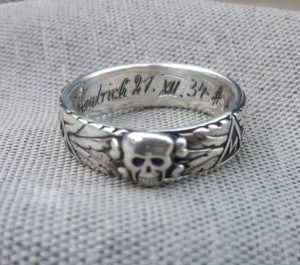 If you are thinking about buying one of these, do not hesitate and go ahead. You won’t be disappointed. 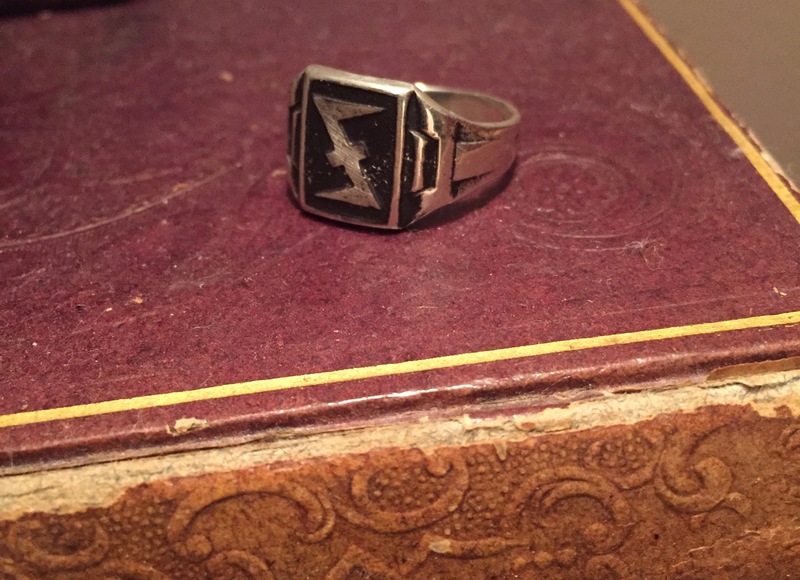 There have been many attempts to reproduce this iconic piece of SS history, but none have come anywhere near this level of accuracy or quality. 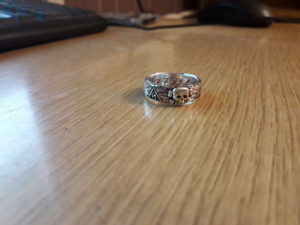 What do you think about the ring we bought? Would you like to add your photo of ring?